By working on new experiments and testing out Fridays at J360's Prototype. 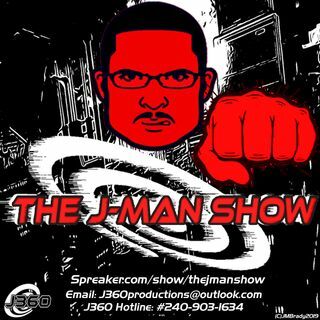 J lost track of time and inadvertantly created a backlog of multiple episodes from The J-Man Show, The Cyclone, and other projects. So he in doing so to alleviate the load, he begins to attest some loose ends that have piled up during the production of the J-Man Show. Some include his problems with Spider-man Homecoming, Top 5 Guilty Pleasure/B-Movie Films, and his overall issue with moviegoers, film criticism, ... Maggiori informazioni and the industry in general. This is the first half of a new double special as Ep.46 is landing this Tuesday Night at 7pm.